Since it hosted one of the most successful Olympics events in the history of sporting spectacles in 1992— who can forget that iconic diving shot with a panoramic view of the city behind? 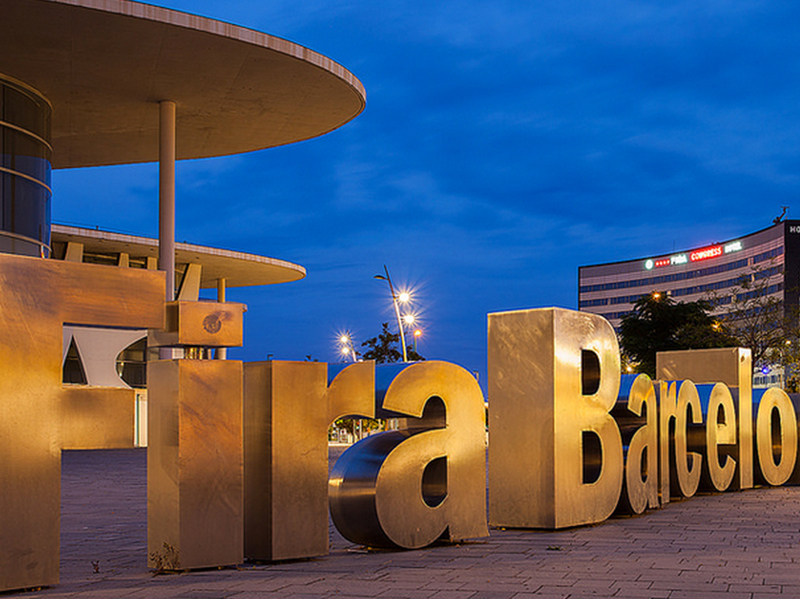 — Barcelona has become one of Europe’s most popular cities for conferences, meetings and major trade events. With its easy air access, well-equipped hotels, superb logistics and infrastructure, as well as the hallmark attractions of a touristic city, Barcelona provides destination management companies with a wealth of options for every budget. It is also the go-to place for trade fairs, as the history of FIRA de Barcelona, the city’s trade organisation can attest to. Situated just 10 minutes from Barcelona’s two airport terminals, with a magnificent backdrop of the Montjuic palace and in an avenue lined with fountains, the Fira is one of the best platforms for business, international exposure of companies, product marketing, networking and knowledge exchange and works tirelessly to attract international events and clients. Its major coup has been to secure the annual meeting of Mobile World Congress, the World’s Largest 3GSM Conference & Exhibition event, that in 2014 attracted more than 85,000 attendees from over 200 countries who witnessed a wealth of learning and networking opportunities; product showcases and announcements; inspiration and innovation in the Catalan capital. As well as representatives from Cisco, Citibank, Viacom and IBM, keynote speakers at the 2014 event included Mark Zuckerberg, Founder & CEO, Facebook, Jan Koum, Co-founder & CEO, WhatsApp, and Michelle Gallen, CEO, Shhmooze. Established in 1932, FIRA hosts shows and congresses that cover the economy’s main sectors, as well as numerous corporate, social and cultural events. It has two large venues and offers exhibitors, organisers and visitors all the resources of a modern and efficient institution. It offers a productive sectors, professionals and entrepreneurs. In order to face the challenges of globalisation and anticipate market demands, it combines organisational experience, innovation, technological development and competitiveness. In December, Fira de Barcelona’s primary focus areas were outlined by its President Governing Board, Josep Lluís Bonet, and its CEO, Agustín Cordón, at the meeting of the General Council, presided by Xavier Trias, Mayor of Barcelona, who praised the admirable work done by the institution, which he defined as “one of the main driving forces of Barcelona’s economy and one of the most powerful platforms we have for showcasing the city’s assets to the world and attracting investment”. The estimated turnover of 2014 was estimated 151.4 million euros is 25.8% above the budget and 28.5% more than 2013. Compared with 2012 (a comparable year as regards number of exhibitions), the increase is 31.4%. The forecast EBITDA is 19.6 million euros (the highest achieved to date by Fira de Barcelona), giving a 105% increase compared with 2013 and 78% compared with 2012. Together with the foreign promotion of its companies, Fira works to attract large international events, promote the growth of its shows, create new events related to emerging sectors, ensure excellent service and organise value added activities. Committed to corporate responsibility, its activity is based on sustainability, respect for the environment and support of various charity initiatives. Fira de Barcelona’s strategy is anchored on promoting its home-grown exhibitions – with a high proportion of professional exhibitions -, diversifying its activities – particularly in the areas of services and catering-, innovation, cost containment and increasing its international presence on two fronts: attracting leading events and “exporting” some of its exhibitions to other countries, packaging them with advisory and management services. An extensive variety of events. In 2014, the institution hosted 62 exhibitions and congresses and more than 60 corporate, commercial and sports-related events, its Montjuïc and Gran Via venues. More than 1,000 different activities took place during the exhibitions organised by Fira de Barcelona. In addition to the Mobile World Congress, other major exhibitions have been held, such as Alimentaria, Smart City Expo World Congress, the Boat Show, Hostelco, Expoquimia, Barcelona Bridal Week, Tourism, Bizbarcelona, Seafood Expo Southern Europe, EIBTM, Seatrade Med or Passenger Terminal Expo, among others. Fira is a consortium comprised by the Barcelona City Council, the Catalan Generalitat and the Barcelona Chamber of Commerce, which combines public ownership with autono- mous company management.